Each morning when I wake up and check my email I am inundated with more newsletters telling me to do more, be more, and buy more. Most, I immediately trash. Few, catch my eye. Newsletters are a very valuable tool, but just like every Jedi in training, there are many ways they can fall to the dark side. So, get your list of rockstars together that want to hear from you, because we are going to give them what they want: good, clean, entertaining content. •Believe it or not, your list WANTS to hear from you: what you’re up to, your advice, and, occasionally, great discounts. •It reminds people that you are around when they need you. •It can (and will) increase the attendance of your next event, talk, book signing, etc. •Newsletters are a great catalyst for product announcements and company growth. •If you’re like me, you love giving away good ideas that will help others grow in some way. Now that you’ve decided that you are going to jump right in and create a newsletter, I want to give you some guidelines that I’ve found work best. DO: Think about who you are talking to and connect with them. These newsletters are not really about you, they are about your people. Do they want to hear about…? What do they need most to read? What will truly help them? Connect with your audience, we are nothing without connection. DON’T: Make it all about you. It can be extremely difficult to read WHAT a company does, b talk about what it can do for ME. DON’T: Get stuck on what it looks like. Meaning, do not go into analysis paralysis and go into your perfectionist self. The content is much more important than the centering of an image to the mere pixel, changing “do not” to “don’t”, etc. And, yes, the occasional grammatical error might will slip by (oops). We all make mistakes. Please don’t beat yourself up in the quest for YOUR idea of perfect. DO: Add multiple ways of consuming your information. Add video or audio to your newsletter to make it REALLY stand out. DON’T: Make your newsletter so wordy that people get visually overwhelmed and give up trying to find something good. Needle in haystack anyone? DO: Send out your newsletters Tuesdays, Wednesdays and Thursdays between 10a-2p. After sending to multiple lists, I’ve found at these times the open rate is higher. DON’T: Send them early morning on Mondays and Fridays. What do you do Mondays mornings? If you’re like me, you most likely check off right down the line of new emails and press delete. Don’t become a victim of senseless morning deletion! Fridays are wind-down-for-the-weekend days. 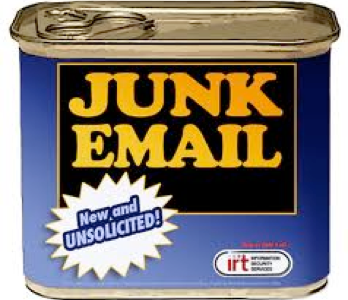 Most people are not going to contact you over the weekend and by Monday your newsletter is buried. Ok, now that you know a few of the do’s and don’ts — let’s get to layout. Feel free to take the layout that we used on this newsletter as a format for yourself. Try using a two-column layout. 1. You get more places to put the most valuable content on the top fold (top fold is the place that the email opens up to without scrolling down). 2. It looks much more organized and is easier to consume. Need a program to send out these awesome newsletters? Before you choose a program, consider your needs. Are you starting out and have a small(ish) list (1-2,000)? How many newsletters do you want to send a month? Do you need follow up emails to your newsletters or a whole marketing email campaigns? As always, if you have a question, just call. We’re here to help!